We find things which are very expensive because of their practical utilities. On the contrary, there is a wide spectrum of articles which do not derive their value from their practicalities but because of the history involved! 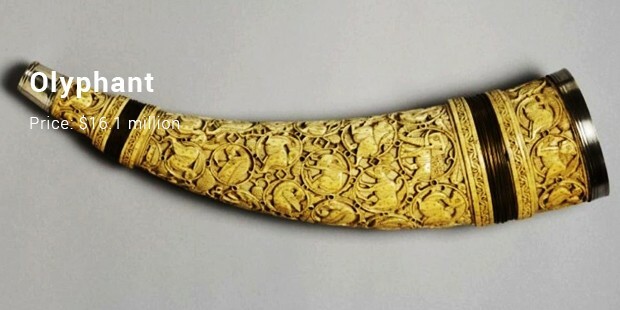 Most of these pieces we have listed here as the most expensive antiques in the world, represent important corner stone’s historically and hence there preservation is the only way we can throwback and learn about our glorious past. For someone who is intrigued by archaeology and is into antiques, these entries will lend a hand. The prices are confounding but every bit is worth it! 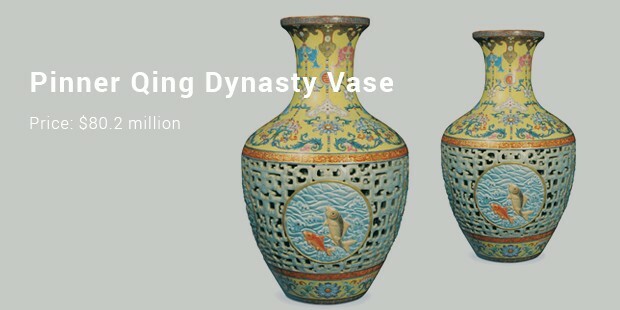 Pinner Qing Dynasty Vase has conquered our list of the most expensive antiques in the world. 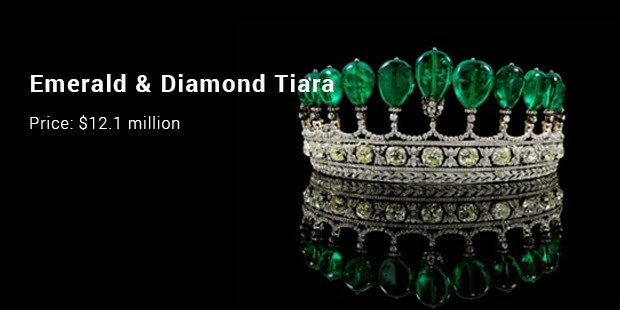 It was auctioned for $80.2 Million which made it one amongst the most expensive dealings ever in an auction! It was made in 1740. 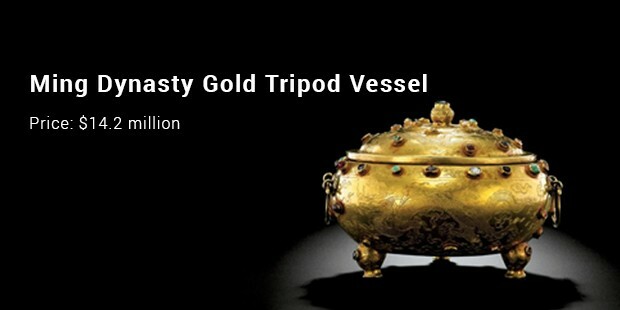 It has gold embellishments and belongs to the Qing Dynasty art. This antique boasts of the writings of the great Leonardo da Vinci. It was titled after the Earl of Leicester. 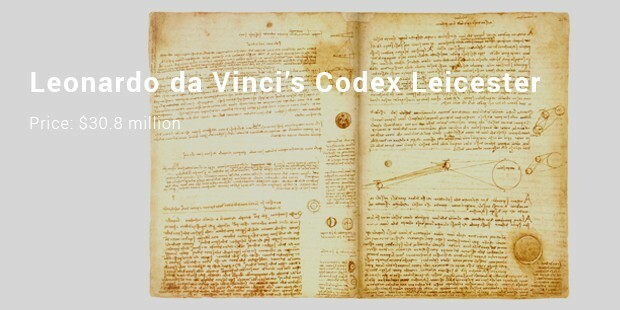 It includes 30 technical journals, but the Codex is believed to be the most illustrious of all. It was bought in an auction by the tycoon, Bill Gates for $30.8 million. 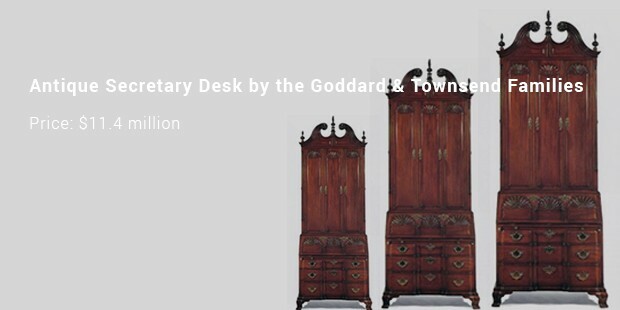 This antique which features 3rd on this list, took 6 years in its making, involving the expertise of 30 craftsmen. 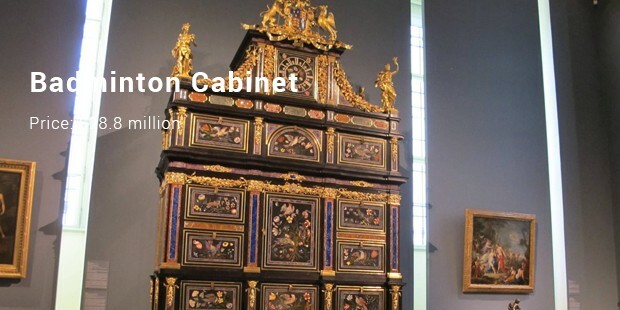 It is preserved in the Liechtenstein Museum, though it was vended to the Prince of Liechtenstein once upon a time. The antique has atimepiece at the top and is decorated with gems. 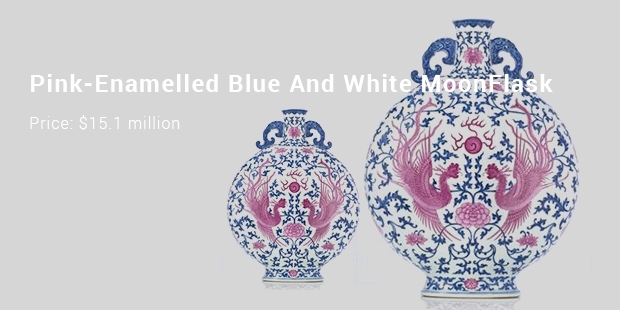 The list above displayed the most beautiful and valued antiques in the world. But it also showed us that people are willing to pay any amount of money, however exorbitant, to own one of these beauties.These items are exclusive and naturally, hoarders go insane when it comes to possessing them!